Knitting is a way of forming a fabric by pulling loops of yarn through other loops. Each of the loops is called a stitch. The line of stitches on your needle is called a row. 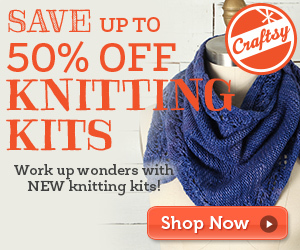 When you knit every stitch on every row, you create a fabric called garter stitch. When you alternate knitting every stitch on one row, then purling every stitch on the next row, you create a fabric called stocking stitch or stockinette stitch. Begin practicing as instructed in the videos by casting on 15 stitches, and knitting 15 rows. You should end up with a reasonably square piece of knitting. If it doesn’t work out, just rip it out and start again! With each stitch you knit, the movements will come more naturally. You can hold the yarn in either hand. Try not to hunch over your knitting, keep your grip on the needles loose but firm, and don’t tug on the “working yarn” (the yarn that’s coming out of the ball) too much. Just relax and enjoy learning a new skill. If you’re tempted to “throw in the needles”, take a deep breath and think of all the centuries of knitters before you who kept at it, even though they didn’t have a fraction of the resources available to you. Once you’ve mastered casting on, working the knit stitch and casting off, you can begin your first project! I have a few patterns that are just right for beginner knitters. The Fringe Armwarmers even involve dropping stitches on purpose. And if you’re feeling ambitious and want to try something larger, how about the Coze Vest, which is just two rectangles sewn together? Watch more knitting videos on the Laylock Youtube Channel.